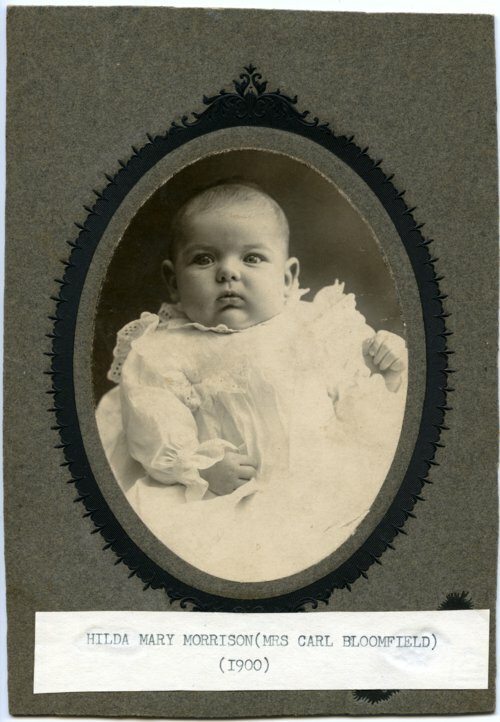 This is a studio portrait of Hilda Mary Morrison as an infant. She was born on December 24, 1900 in Paxico, Kansas. She later married Carl Bloomfield.